Order Wings of Hope 5th Edition Book today! PREPSKILLS® is pleased to publish Wings of Hope™ (5th Edition) Journal, a collection of inspiring words and images in support of the Childhood Cancer Canada. And with each flap you sing. Fall under their soothing sway. And you will fly away. 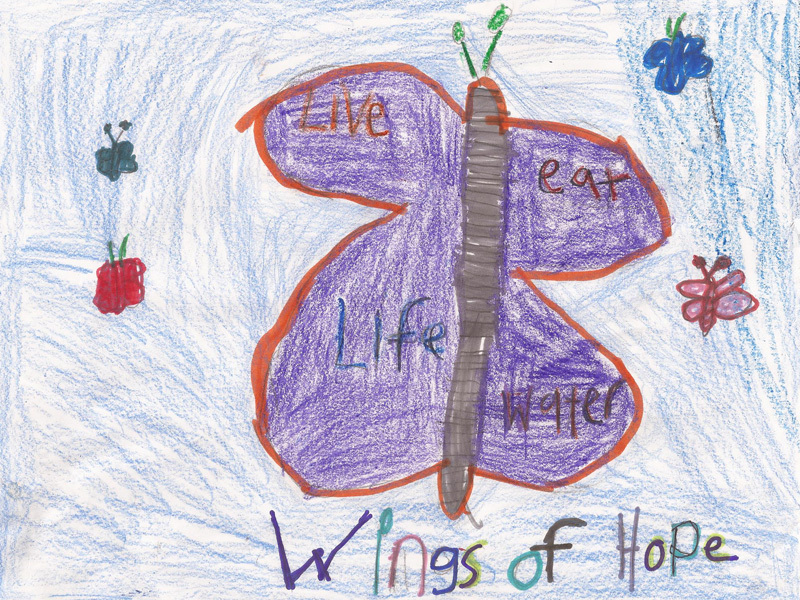 We are excited that the next Wings of Hope book will feature the months of the year and highlight 12 additional written submissions and 12 artwork submissions. WE RECEIVED OVER 1000 SUBMISSIONS! WE WILL BE PUBLISHING THE NEXT EDITION SHORTLY. 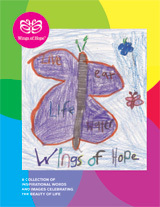 CHECK BACK WITH US TO SEE IF YOUR ART OR WRITTEN SUBMISSION HAS BEEN PUBLISHED IN THE WINGS OF HOPE BOOK! Be like a butterfly and reach new heights for Childhood Cancer Canada Foundation by raising awareness and funds to support education scholarships for young cancer survivors. Receive an honourary plaque and certificate. Wings of Hope book will include a tribute page to Olivia Wise. Help give children the opportunity to enjoy a long, healthy and bright future! Children and their families should NEVER have to feel the pain of Cancer!! Olivia is a fighter! So Brave, So Courageous! She is our Inspiration, our HERO!! and supports the Childhood Cancer Canada Foundation. David was diagnosed with leukemia at the age of 3. His parents contacted CCFC and received a Family Support Kit. 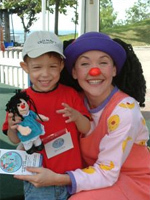 They became involved in the Foundation’s family-friendly events, where David could enjoy the fun all children deserve. Thanks to your committed support, David and his family feel the impact of a caring community, as they fight the number one disease killer of Canadian children. I’m delighted to introduce you to Meghan. 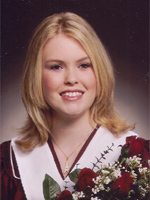 At 14, she was diagnosed with osteosarcoma. She survived a 19 hour leg salvage operation, ten months of chemotherapy and more surgery on her lungs. But now, at 20, with the support of the Foundation, she attends university in Halifax and plans to fulfill her dream of becoming a fashion journalist. For children diagnosed with cancer, it’s crucial to receive proper support. 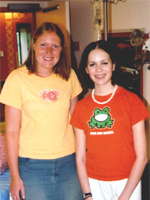 Sarah (on the left) is a childhood cancer survivor. She was connected as a Teen Mentor to Harriet (right) through the Foundation. Having been through a similar diagnosis and survived, Sarah was a real inspiration to Harriet and her family, at a critical time. Ryan Matheson, from Edmonton AB, was diagnosed in 2002 with a rare form of leukemia. Because of childhood cancer research support offered by our Foundation and others, great advances have occurred. 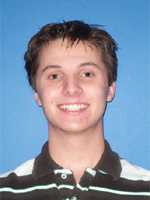 Today Ryan is enrolled in a Bachelor of Sciences program. 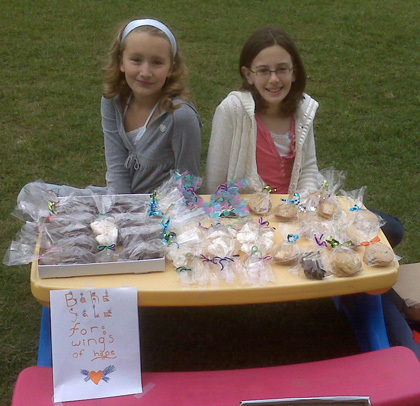 Eileen and her friend Katie set up a bake sale last weekend for Wings of Hope - to spread the word and raise money for the cause. Copyright © 2006-2010 PREPSKILLS INC. All rights reserved.